A meeting of 30 member clubs has ended with the club owned by Sevco being placed in the league’s bottom tier. 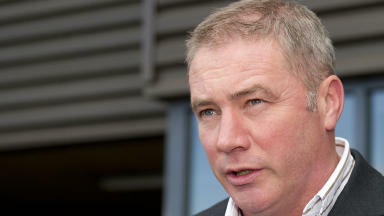 Scottish Football League clubs have voted to accept a Rangers newco into Division Three for the 2012/13 season. Representatives from 30 member clubs decided Sevco Scotland Limited must play in the bottom tier of the league structure after rejecting proposals which could have seen the new company play in the First Division. Airdrie United and Dundee were not originally expected to vote in the ballot but were informed that they would need to take part in the process on Thursday evening. 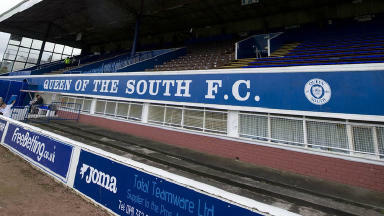 SFL clubs received a raft of proposals on Wednesday following talks between the Scottish FA, the SPL and David Longmuir. 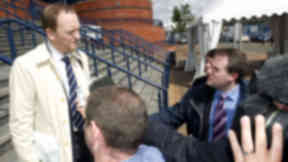 Prior to the vote, several teams across the three divisions publicly stated their intention to object to plans to allow the newco to play in the country’s second tier. 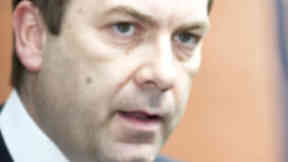 SFL chief executive David Longmuir confirmed that 29 of the 30 member clubs had voted in favour of allowing Rangers newco into the Scottish League set-up, while 25 of them clubs had voted for the club to be instated in the Third Division. Mr Longmuir also confirmed that Rangers will take on the fixtures allocated to Stranraer in Division 3, with the Stair Park club moved into Division 2. Airdrie United will move up to to Division 1. This will mean that Rangers begin life in their fourth tier of Scottish football with an away trip to Peterhead on Saturday August 11. 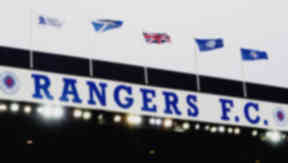 Mr Longmuir added: "The member clubs of the Scottish Football League have today voted to willingly accept The Rangers Football Club as an associate member of the Scottish Football League. Furthermore, the Scottish Football League's only acceptable position will be to place Rangers FC into the Third Division of the Irn-Bru Scottish Football League from the start of this season." Longmuir also stated that he was "comfortable" with the outcome of the vote and that the decision from the SFL clubs was taken with the sport's best interests at heart. He said: "I'm comfortable today that the Scottish Football League made a very, very decisive decision that was based on sporting fairness and I think the Scottish Football League were in the right place to make that decision. "This decision followed a tried-and-tested process and was taken in cognisance with the other options which were available for consideration. Today's decision has been one of the most difficult for all concerned but it has been taken in the best interest of sporting fairness which is the fundamental principle of the Scottish Football League. In response to the decision, newco Rangers stated they understand that Scottish Premier League chief executive Neil Doncaster and SFA chief executive Stewart Regan "will introduce a plan for SPL 2- which would include Rangers - and invite existing Division One members to join." However, the club consequently revised that statement on their official website. Instead newco Rangers said the SPL 2 plan was "mooted last week" and would "swing into action in the event of today's outcome but it is not known if this will be the case." 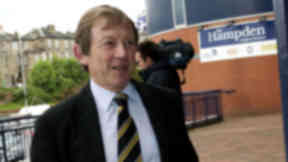 Rangers chief executive Mr Green said he accepted the decision of the league and described the Third Division place as being the "ultimate punishment" for the Glasgow club. 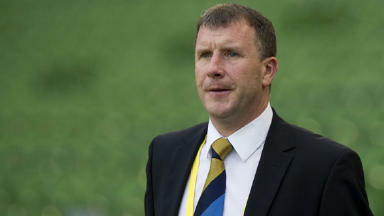 Scottish Football Association chief executive Stewart Regan said: "In light of today’s decision by the members of the Scottish Football League, the Scottish FA is committed to leading the challenge to reinvigorate the national game. "This challenge requires the collective effort not just of the Scottish FA but the respective league organisations and all member clubs. "Today is a watershed for Scottish football. There will, undoubtedly, be financial consequences on the horizon. None the less, with togetherness, an open mind, and innovative thinking, there can also be opportunity: opportunity to restructure the game and promote competitiveness." 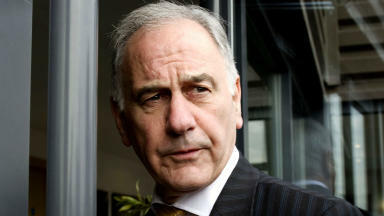 Raith Rovers chairman Turnbull Hutton revealed that Sevco Scotland chief executive Charles Green, SFA chief executive Mr Regan and Rangers manager Ally McCoist addressed the meeting. Mr Hutton said: "It was a good meeting that was handled well and all the issues came out. There was also a good hearing for those who came into the meeting. "The league made a decision and I think it was the right decision and the right process and I'm proud to be a member of the Scottish Football League." After the crucial vote at Hampden on Friday afternoon, Dunfermline chairman John Yorkston said it would not be a shock to see the SFA and SPL formulating plans for an SPL2, something which has already been mooted. He continued: "That wouldn't surprise me. The ten First Division clubs sent out a message today saying that we are looking for a 42-club solution, the vote was 25 to five so I think that was fairly unanimous." Mr Yorkston said: "Something I would like to say very clearly today is that he First Division clubs in particular made it very clear to us that they are looking for an all 42-club solution to Scottish football's restructuring issue - that was a very clear direction of the will of all SFL clubs."